We will talk about you on 2018! WRITE DOWN YOUR WISHES FOR A FANTASTIC 2018! It is very long time we know the truth about Santa. Do not be upset. There is someone else who can satisfy your wishes! Emergency Live is the most dynamic emergency magazine in the world, which can rely on a team of professionals who can drive you in the world of publishing and social media. We can be your ace in the hole and ready to satisfy your requests. We are glad to help companies who wish to invest on social media to increase their visibility, customers and so, increase sales. The opportunities offered by the web are unlimited. So we need precise information to provide the best quality service ever. We are Your Santa Claus and we are waiting for your letter. 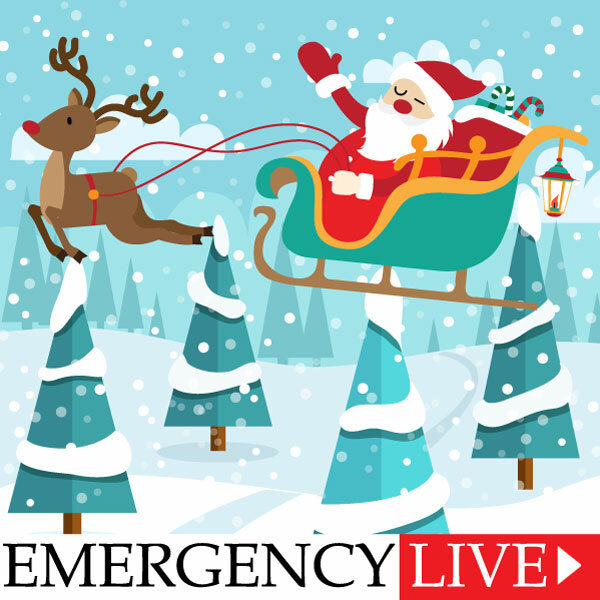 At the end of this survey, there is the first gift waiting for you: a 250-character free article for 30 days on Emergency Live! What are you waiting for? Fill and submit the following survey to get your first space on our magazine. For any further information please write us using our mail . You can contact us directly also via Facebook, Whatsapp or Telegram. We are also on Skype!